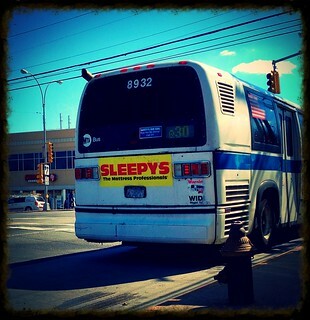 Q30: NovaBus RTS-06 - MTA/NYCT Bus #8932 – Union Tpke/Utopia Pkway, Queens, New York. Hydraulic Fluids Leak - Leak started when driver attempted to deploy the lift for Your Photographer. Picture taken on March 21, 2014.